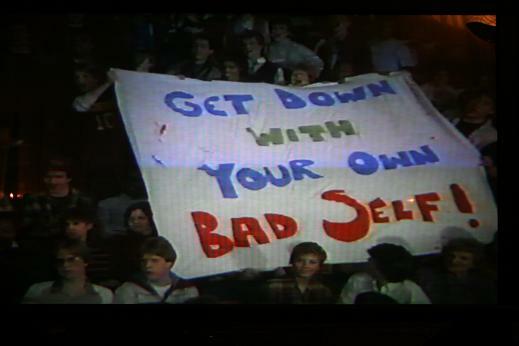 We're really hitting a wave of 25 anniversary celebrations this year, which only goes to further my constant comments that 1984 was the greatest year! 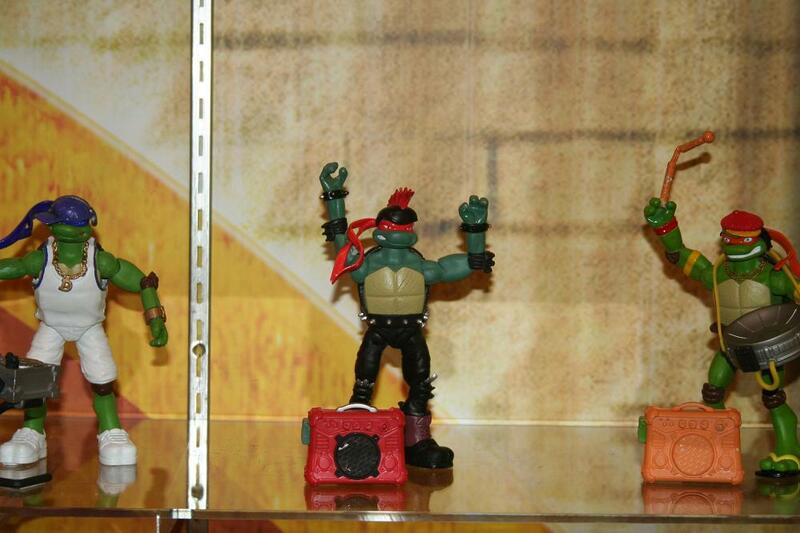 Well, Playmates is doing a great job with the Teenage Mutant Ninja Turtles Anniversary celebration, releasing a line of vintage figures, made from original molds on vintage cardbacks! You can find the four turtles in stores now, and hopefully April, Splinter and the Foot Clan will be available soon! 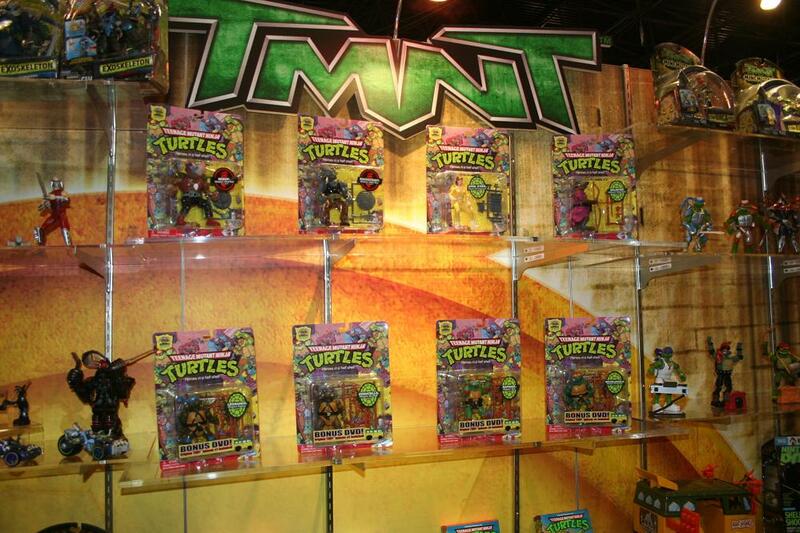 Check out the display that they brought with them to the New York Comic Con - click here for a full gallery of their products, and click the images below for larger views! After we got the basic Turtles in the original line back in the '80s, we certainly got a whole busket of crazy figures in later waves. It's good to see that they are keeping the theme alive, with DJ Don, electric steel drum Mikey and Kirk Thatcher Raph! I'm sure we can expect a bunch of wild variations on the Turtles, not to mention a collection of crazy Shredder figures and improbably talented and equipped Foot Soldiers! 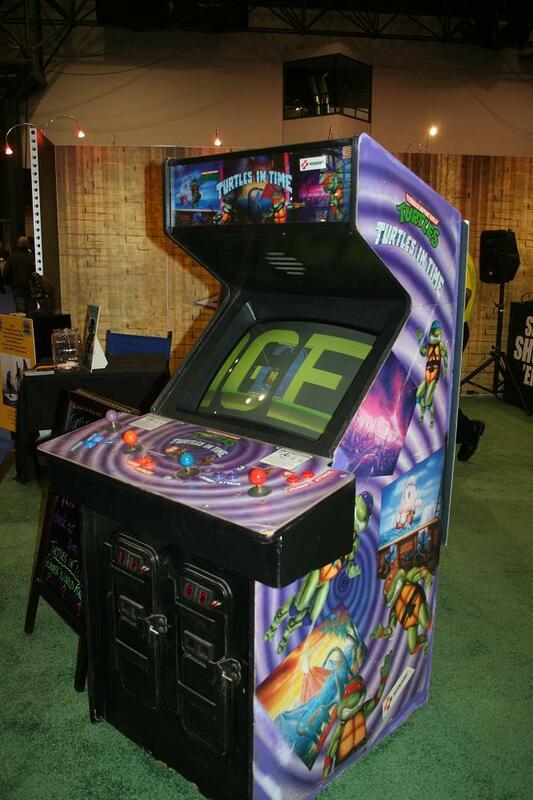 They also had a Turtles in Time arcade machine in their booth - Cowabunga! I'm surprised there is no pic of the April spokesmodel whose jumpsuit was...er, too tight, let's say. Man I clearly missed the best parts of the con - send pics if you got 'em! 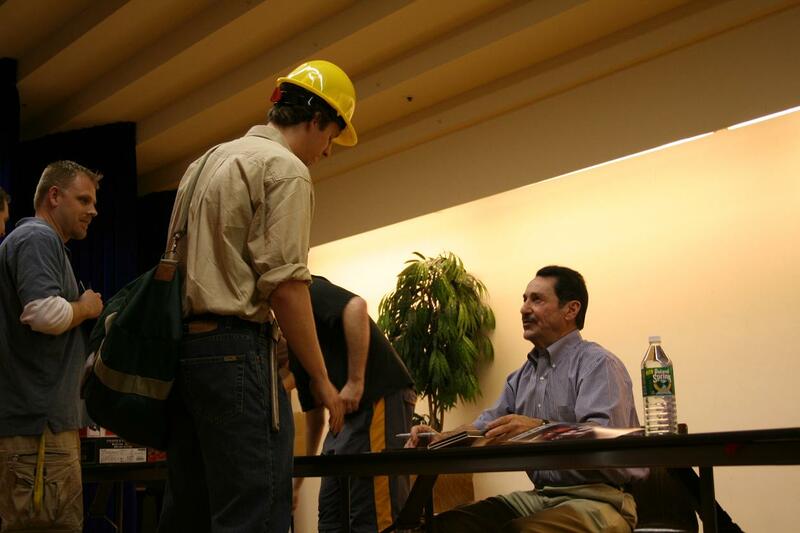 At least I managed to say hi to G4's Blair Butler - a personal goal for several of these shows. Thank Cthulu for the internet: http://theturtlevan.blogspot.com/ The pic is on this page. Awesome! She's like April meets Uma from Kill Bill.